In this episode, you’ll learn about the idea of competition being a great thing for everyone involved because visitors stay longer when there’s more for them to do from Elissa Leuer. As Livingston County’s Director of Tourism and Marketing, Elissa is responsible for the promotion of the county’s accommodations, attractions, restaurants, and events to those outside the area to encourage tourism. Prior to joining the Livingston County Chamber in 2015, she worked in tourism sales & marketing at the Genesee County Chamber & Tourism. A native of Western NY and a graduate of SUNY Geneseo and the Rochester Institute of Technology, Elissa has a passion for the Finger Lakes region and the travel & tourism industry. Thank you for joining me, Elissa. I’m really looking forward to speaking with you today and learning from you but before we dive in, I’d really like to hear a little bit more about your background. I think it gives so much more context to our conversation. So could you share with us a little bit more about your journey and your story? Absolutely. So as you said, I started my undergrad at SUNY Geneseo, which was really relevant to connecting me to Livingston County because our office here for the Livingston County Chamber and Tourism is based in Geneseo. That gave me some really good background experience on Livingston County living and being educated here from an early, early start. So that was something that I didn’t know would be relevant but it worked out in the end. Then I went to RIT for my graduate work. I got my MBA there with a concentration in entrepreneurship which was also beneficial. I didn’t know that I’d be working with tourism businesses and small business owners every day, but that entrepreneurship background has definitely helped me in relating to our business owners in just being able to understand their struggles and what they’re going through. So my education background was actually quite relevant even though it wasn’t tourism-based. Then my early career started with corporate sales and marketing. I was actually working for an optics firm here in the Rochester area. We do have a big optics industry, so I started with sales and marketing in that arena. Then I was looking for something where I got to work more with everyday people, not necessarily PhDs. I did love to travel for that job. A job opening became available in Genesee County at their Chamber and Tourism Office, so I kind of took that on a whim and it turned out to be something that I fell in love with. I was just able to take on new challenges, work with the public every day but also work with business owners. People in tourism are usually always upbeat and positive so I really enjoyed that. Then just that experience that I had, those five years that I spent at Genesee County, I was able to learn pretty much everything about the tourism industry in New York State, how our state runs our tourism program and just kind of the ins and outs of working with our businesses and seeing how they’d like to be promoted. So when the job opened up in Geneseo here in Livingston County, the director position, I transferred over here. I’ve been here ever since and just really love it. Wow, that’s really cool. I didn’t know that you had a background in entrepreneurship. I think that’s really interesting because you’re right, you do interact so often with business owners and understanding their business issues and their business problems I believe makes you a better partner for them. I personally like to think so. Those business skills that I got early on in my education just really transferred easily to being able to manage a budget and understand those things, and finances, and even, we work in very small offices usually in tourism, so things such as HR and those key marketing techniques have been really beneficial. Yeah. So having that well-rounded business background really helps in the role that you have. I think that’s really awesome. The other thing I like about your story is how you started your career in a completely different industry, in the optics industry, and found something that you loved about that career, which was the traveling. And that’s what kind of attracted you to investigate opportunities in the tourism industry and have you kind of pivot or shift over to this industry. I always find it interesting the paths that we take and it’s not necessarily what you set out to take but it all kind of aligns over time. You can really connect those dots. Well, I’m looking forward to diving into these questions with you. The first thing that we like to cover is creativity and understanding how competitive the travel and tourism industry can be. Not just competing businesses competing, destinations competing, but you’re also competing for a visitor’s time and there are so many choices out there. So I’m wondering what you have done to stand out from the crowd. Sure. So part of our motto at our office is, “Always be willing to try something new.” So it’s rare that we run the same ad twice or do the same publication or same campaign twice. If we do it means it’s very successful. So we’re pretty much willing to try any reasonable thing once. I’ve got a great example. We had a request from one of our local businesses in downtown Mount Morris that they were looking to see if they could capture some of the 800,000 visitors that come to Letchworth every year to go camping. They requested that our office kind of seek out some new ideas and new ways to do that, so we brainstormed and came up with the idea of a Letchworth State Park shuttle service that would take campers from the Letchworth campground out to other destinations in Livingston County. We set out on a pilot program to see if this idea was viable. Let’s give it a shot and see how it goes. We ended up hiring a local bus company, setting up a weekend shuttle service pilot program. We ran it for a weekend, surveying the ridership, took in that information and data, and got some really, really great information from it. We were able to learn that the campers in the park didn’t actually want to visit areas outside of the park. Which was fine, it was a pilot program. We wanted to see if it was viable. However, we were actually able to learn that there was a great need for a shuttle service inside the park, that campers were looking to visit other areas in Letchworth. If anyone’s familiar with Letchworth, the campgrounds are a little bit of a distance from areas in the north end of the park like the pool, even areas in the south end of the park like Middle Falls and the Glen Iris Inn. So we had multiple requests from those campers that we had met with that weekend that were looking for a shuttle service throughout the park. We were able to take that information and we’re now using that to influence future tourism programming and hopefully, eventually a shuttle service within the park for people staying there. That’s one thing that we get an idea, we think it’s viable, we’ll give it a shot. I think that helps us stay competitive and be creative, that if it’s reasonable we’ll give it a shot and see what we can learn from it. It doesn’t always work out the way we think, but if we’re able to get some really good information, that can influence how we move forward in the future. Yeah. I think that’s a fabulous example. First of all, to start with being willing to try something new. So being open-minded and open to new opportunities I think is really great advice and a great place to start. Then the example, so you had a businessperson in a nearby community come to you with this idea and you were open to it. You were willing to try it but you actually, instead of diving right in, you tested it first. I think a lot of times people will just dive right in. You’ll make some assumptions, maybe not have that data and not be as informed and dive right into a program. I love how you set up the pilot program, surveyed the ridership, surveyed the campers and had this data and this information that’s now informing you in other ways. I think that that’s really cool. It’s awesome. Thanks. Yeah, we try to really make sure that if something’s going to be viable then it’s tested and true and we’ve got the metrics behind it. We’re really fortunate that we’re a smaller office so we can be a little bit more flexible to say let’s try something out. Tourism typically runs in the year-long cycle, so even if it’s something we try for a year, I think it’s a fairly short time period in the grand scheme of things so it allows us to let’s play it per year. Another example is our visitor guide. We mix it up every year and try a different theme. That’s given us really great information about what are the things that attract visitors to picking up a magazine, what are the type of directory style information that they best respond to, do they want to feature stories about our businesses or are they looking just for the events and information. So we’re able to do that by being a little bit flexible and just trying new things and seeing what plays well. Yeah. I’m gonna pick up on this because you talked about being a small office and that actually being an advantage. So many times you might think of being small as maybe a disadvantage. I’m sure you have your own unique challenges based on the size of your office but being able to see that, yeah, but we do have these clear advantages and we can be more nimble and more flexible. I think that’s just a really great perspective and way to kind of frame that and look at that. Another thing that I like to talk about when we’re thinking about creativity is the creativity that comes when we’re faced with a challenge or adversity. I really find it fascinating how creative we really can be when we’re in that problem-solving mode. I’m wondering if you could share with us a challenge and then, as a follow up to that, a creative solution that came from that challenge or adversity that your destination might have faced? Sure. Our biggest challenge, especially for our office, is and probably will continue to be maximizing what I like to call our rural-sized budget to present what we like to know as urban-sized programming. We are Livingston County. We’re one of the smaller counties in our Finger Lakes region and even one of the smaller counties in the state in terms of tourism dollars and what we’re able to generate. We have fewer hotels, we are based on occupancy tax, so we are faced with a little bit smaller of a budget but we do get to see our partners across the state do some really great programming and have some really big ideas that we are always jealous of and want to replicate. I think that’s good because it actually pushes us to maximize our budget to come up with some really great programming. One of the solutions and ways we were able to be creative despite a small budget was our tourism training program. We had seen our neighbors in Monroe County at Visit Rochester develop a really first-class training program for their tourism industry partners. It’s called their Star Training Program if anyone’s familiar with it. What they do is they hold sessions probably every few months to bring in some of the key tourism partners, employees of any of their tourism businesses and part of the transportation industry, and just anyone who is involved in tourism to kind of educate them on what’s going on in their community in terms of tourism, what’s new and different, as well as keep them up on the industry. They’d talk about the latest social media platforms, ways people are gathering their information. We saw that program and we worked with Visit Rochester to see what they were doing, what had worked well for them in that program, and then we took their ideas and basically customized it for our small budget in Livingston County. We didn’t have to reinvent the wheel. We were able to kind of take a smaller scale version of what they had done. They had laid the groundwork for us and done the research to already determine what worked best for the partners. Then we were able to just take that idea and run with it. That’s been really successful for us in Livingston County, especially in terms of Letchworth State Park, our biggest attraction. It does get a number of seasonal employees during the summer…high school students, college students that are manning the gates, that are working at the concession stands…they might not necessary know what there is to see and do in Livingston County and might not be updated on giving recommendations of where people can eat, what they might wanna do after they leave the park on their way back home. We’ve been able to take that program and go into Letchworth before the start of the season every year and have a one-on-one education session with the seasonal employees to teach them those things, teach them basic customer service skills. That’s something that we were able to do with a very small budget based on just replicating what we had seen some of our colleagues do in bigger areas. That’s really cool. So when you go into Letchworth, are you then working with park management in conjunction with them? I’m curious, are the seasonal employees volunteering to participate in this program or is it a requirement for them to participate? Sure. We do actually offer the training to any tourism-related business in Livingston County, and Letchworth is just a really good example. We do get requests from smaller businesses, restaurants, ice cream stands that we’ve gone and done our training for their seasonal employees and their seasonal staff. In terms of Letchworth, they do have the biggest seasonal workforce in tourism in our area. The park management did request that we come in and they do make it part of their mandatory training. They do a couple training days before the start of the season every year and they’ve asked that we come in for an hour to two hours during those training sessions and kind of round the training. They get information about the park but then they get information about the community as well. That’s really awesome. First of all, Elissa, I have to compliment you on your positive outlook. Again, back to being one of the smaller counties even in New York State as you mentioned, but instead of talking about having a small budget as your challenge you talk about maximizing your rural-size budget. I just want to point this out because I think it really does make a difference as to how you approach your marketing programming and how creative you can be because instead of framing it as a negative, you’re still framing it as a positive. I just think that that’s really awesome and it just really speaks to what you’re able to bring forward. The other thing I wanted to point out and make sure listeners didn’t miss this is that you look to maybe larger destinations that are nearby, in your case Visit Rochester in Monroe County, and benchmark that and take away what makes the most sense for your county and for what you can do. I just think that that’s just a really good approach and a really good example of how you can, to use your words, maximize your rural-sized budget but also bring something very valuable to your community, to your stakeholders, and ultimately to the visitors. I think that’s a great example. Thanks. It’s nice that tourism is such that you can see what other people are doing and more often than not they’re willing to share and say, “This has worked really well in our community so here’s kinda the groundwork and the framework. See if you can make it work for you.” We were really fortunate in that way that they kinda had a really well-established program that we could just pull from. Like you said, we do have that small office, so we were even able to take it a step further, customize it for Livingston County in that we can be nimble and actually go to our businesses on site. I know with Visit Rochester, their program is usually held at a ballroom, at the convention center where people can all gather together. But that didn’t really work for our businesses so we were able to say, “Okay, well we’ll come to you.” That’s something that’s worked really well and worked for our community and been a better fit for the type of county that we are. Let’s look into the future. I’m talking to you now in January and it’s snowing, but before we know it Letchworth State Park will be open and we’ll be in full swing into our high season for tourism here in New York State. I’m wondering if there are any projects that you’re working on that you’re really excited about that you can share with our listeners. Sure. We’re always working on a number of different things. There are a few that we’ve got kind of in the hopper that we’re really excited about. We are launching our new tourism website FingerLakesWest.com and that will launch April 1st. So that’s something that we’ve been working on for a while but we’re really excited to see that come to fruition. We completely scrapped our old site for an entirely new redesign. The focus of that site, which gets us so excited, is that it’s gonna be on really great, clean visuals to tell our story. We’ve seen more and more in the industry that people are no longer looking for a lot of copy, a lot of text so we’re upping our game in that way. We’re fortunate in Livingston County to have a lot of scenic beauty to tell our story. So we’ve got some really great visuals that will have a high impact on our website that we’re excited about. Of course, visitors will be able to access our business directory for the information on what to do, where to stay, where to eat, those sort of things. But we’re also gonna have some really robust content on specific audience recommendations like reaching the group tour operator, conference and event coordinators, even sports tournament planners. We have facilities in SUNY Geneseo where we have an ice arena, a gym that sports tournaments can come and be hosted in Livingston County. Even a destination wedding section. We get a lot of people that want to come have their destination weddings in the Finger Lakes. We’ve got a number of wedding barns and just beautiful outdoor scenic venues. So we’re creating content on our site that can help them plan everything from the caterer to the venue to the transportation and having that information available. Information that typically wouldn’t be available in a visitor guide but is available on our website where we have that space to have that content. So that’s one we’re really excited about. Another is we’ve got a number of new breweries opening in Livingston County. 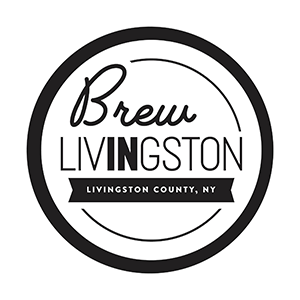 Our economic development center did a program last Fall 2017, a Brew in Livingston campaign where they offered grant money to competitive breweries to see if they would open their doors in Livingston County and we have seven breweries coming to Livingston County hopefully in 2018. We’ll be doing some events and also some programming and campaigns around brewing and craft beverage in Livingston County for 2018, which gets us really excited. Yeah. That is really exciting. Can you talk a little bit more about the competition because I thought that was really unique when I saw that be announced? I just think it’s a great way to help or to identify an area, a growth area, and then to give incentives so that you can develop those assets within your county. So can you talk a little bit about how that works and how that came about? Absolutely. Like I said, it was our economic development center. They called it the Brew in Livingston program. What they did was anyone who was interested in brewing in Livingston County, which it actually attracted people who were looking at becoming a brewer or were brewing craft beverage that weren’t necessarily thinking of Livingston County as a place to open their brewery. Maybe they were thinking of Ontario or Monroe or any of the other surrounding counties. The IDA, the economic development office said well let’s show them how attractive Livingston County can be. The program was a few weeks long that these brewers came in and some of them were at different levels. Some of them had already secured a location and were already brewing beer. Some had not even got their DBA certificate yet. They brought them all together for education programming throughout the number of weeks that the program ran to talk about the ins and outs of running a business, of starting a business, of securing property, and then talking about all the way through to actually opening a brewery, marketing, promotion, and sustainability for the business. It was a competition so the top three brewers at the end of the program who were voted on by the community ended up winning grant funding to help get them marketing and promotion as well as some grant funding to help with tax write-offs and things like that to get their business going. In essence, it worked really well because not only did three of them win grant money, but seven of them, so four more who didn’t actually win the competition, were kind of well prepared to begin starting their business in Livingston County. They’re moving full speed ahead despite not actually winning the program to open their breweries. It just really laid a good groundwork for establishing what is a trending industry in Livingston County. I think that’s really fabulous. How involved were you in that whole competition? You said it was driven by your economic development or your IDA but how involved is the tourism office? We actually became involved in some of the later weeks when it began to transition into marketing and promotion and the different audiences that these brewers could reach. Since we are a chamber of commerce and tourism, it’s a nice fit that we’re able to talk to our businesses about whether they wanna reach locals using the chamber’s resources or whether they wanna reach tourists using our TPA, tours and promotion agency resources. We’re able to talk to them at the same time about that. So we were involved in one of the education sessions about marketing and promotion and forming a beer trail. We talked about the support that our office can offer in terms of making sure that their business gets on the map, that we can bring visitors and locals through their doors, and that we are the resource to do that in Livingston County. That’s awesome. Thank you for describing that because I just think it’s just such a great example of what we’re gonna talk about next which is collaboration. I love where your tourism and even in this case, your tourism and chamber resources, are aligned with economic development and how those organizations can work together to develop businesses within your county. But not only that, for you with your tourism hat on, you’re developing a whole new asset for the county which we know is a growing area of interest and definitely an attractor to get visitors into the county. I just think that that’s such a cool example. I don’t want to lose sight of what you mentioned first which is your website which sounds really awesome. I like how you talked about using those visuals to tell your story. I know that that’s been something that a lot of tourism offices have been striving for lately. But then to take it one step further and to talk about things you’re gonna offer on your website that are more audience-specific and that content that’s going to talk to those specific audiences. So we’ll look forward to seeing that launch and we’ll make sure there’s a link in the show notes to FingerLakesWest.com so listeners can go and check that out in April. Let’s talk about collaboration because, as you just demonstrated, collaboration is just a huge part of what we do every day in the tourism industry. What I think is really cool about the collaborations that I see in the tourism industry is this whole idea of coopetition where you have perceived competitors coming together to collaborate on a program or on something that’s bigger than what they can do on their own. Actually that example that you just shared with those seven new breweries opening and you mentioned a beer trail and things like that, of course that’s a great example of how these brewers who could be perceived as competitors, and I guess they are competitors to a certain degree, but when they work together they can really create some mass and some notoriety and attention and draw more so than they can do as just a standalone brewery. So do you have other examples of when a collaboration between competitors has worked for you? Absolutely. We are big on collaboration in tourism in the Finger Lakes region and also in Livingston County. Despite being a part of such a large tourism region, the Finger Lakes with our 14 counties, we’re able to form collaborations that are really beneficial. Instead of thinking of it as that people could come to one of us and only one of us, we like to think of it that the more we have, like you said, the more breweries that we have, the more likely people are gonna come to us at all and the more likely they’re gonna spend more time. So kind of what we look at when we’re thinking about collaboration is always extending the visitor stays in the region. That the more great quality assets and attractions that we have, the longer people will want to spend here. 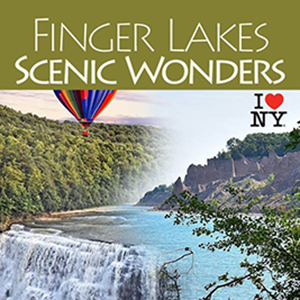 One example of that has been our Finger Lakes Scenic Wonders program which is a partnership between Livingston County and Wayne County tourism. This is based off the premise that we each have a beautiful state park. Of course, Livingston County has Letchworth State Park and then Wayne County has Chimney Bluffs State Park. So these two state parks that are actually an hour and a half away, so it doesn’t seem like a great fit, but based on the nature of these parks with these huge cliffs they both have, Letchworth has a gorge with a river running through it, and then Chimney Bluffs has these great huge bluffs great on Lake Ontario. So both of these scenic cliffs with water and hiking, it kind of makes perfect sense because we’re both trying to attract the same audience, so photographers, hikers, outdoor enthusiasts. So we got together, Christine Worth and I, and said okay this program, we’re both trying to target the same people that if they’re coming to one of the parks they’re most likely going to be interested in the other and vice versa. Being able to kind of send people back and forth and so people visiting Letchworth we can say, “Well actually if you’re staying in the region a little bit we’ve got this Chimney Bluffs an hour and a half north that we think you would love,” and then the same thing vice versa for Letchworth. We think that that helps extend visitor stays in the region and it just helps maximize our investment because we’re able to share advertising, we’re able to share PR programming dollars. It’s just been working really well for us. That’s really interesting because you’re right, you might not connect those dots being that they’re an hour and a half away from each other, but really if you’re a visitor in the region, I suppose if you’re staying in Letchworth and that’s your home base, maybe you’re not gonna go up an hour and a half. But if you’re really visiting and you’re moving from place to place, an hour and a half really isn’t that far of a stretch. But also what I think is interesting is you’ve also got return visitation opportunities. Maybe they don’t do both parks in one visit, but they would return and do the other park because they are similar audiences that you’re attracting. I think that that’s fabulous. It has worked really well for us in that way. You’re exactly right that even if they don’t come, it puts the other park that they didn’t visit on the map. It’s something in the back of their head that maybe in a few years they’ll come back and visit the other one. That chance for the potential of a future visit is worth it. You mentioned partnering with Wayne County. You’ve also mentioned the Finger Lakes vacation region. Where have you looked for partnerships and how do they come about? Can you talk a little bit more about that? Sure. Partnerships are interesting in that they can go one of two ways. We sometimes partner with people that are very similar to us. For example, Wayne County is an example of a similar partnership. We both have this scenic state park, we’re smaller, more rural counties that are kind of based off of this Rochester hub. Another example is a collaboration between partners that are complementary, that don’t necessarily have many similarities. A good example of that is our Country Byways Program of the Finger Lakes and Greater Niagara Region. It’s the four counties of Genesee, Livingston, Orleans, and Wyoming, and that partnership really works because we’re all complimentary. That some of us have lake rentals, some of us have campgrounds, some of us have hotels, and then a variety of attractions that I’ve got Letchworth State Park, Genesee County has Darien Lake, which is a huge amusement park in the state. Then if we think about Orleans County…they have Lake Ontario and fishing. That’s a collaboration where we’re all complementary and totally different but we think of ourselves as almost a mini-region where people can kind of have a huge variety of accommodations and attractions all in one small space. It kind of goes one of two ways for us but at the end of the day, I guess I look for partners who understand that any positive publicity or marketing for the region is good for all partners. We see this in the Finger Lakes Region all the time that just because a certain county gets a mention in the Finger Lakes doesn’t mean that that’s gonna be detrimental to everyone else. In fact, that’s gonna be positive for everyone else. That Livingston County may not get mentioned but it puts the Finger Lakes on the map and people think of, “Oh, that Finger Lakes region, I think I’ll travel there,” coming up and plan a trip there. Then we hope that once they start doing research that they’ll see what we have to offer. Wow, that’s awesome. You just actually shared so many really good nuggets of wisdom and information. I wanna make sure that our listeners caught all of that but I really like that you are thinking about your partnerships and how you evaluate them in two different ways. The similar partners, so sharing similar assets like your Wayne County example. And then your complementary partners, thinking about how you complement each other in your Country Byways four county kind of example. I think that’s a really good framework for evaluating the partners so I just wanna make sure listeners picked up on that. Another thing that I really liked that you said is you talked about finding partners who, you didn’t say it this way but basically what you’re saying was who have the greater good in mind. You used the phrase, “a rising tide lifts all ships,” but understanding that having the greater good of everyone in mind is really important and that all partners need to see it that way. I think that’s just such a great point. It really plays into kind of what my next question for you is going to be which is really this whole idea of managing expectations and laying the groundwork for a successful partnership. To me, what you just said is having that common kind of understanding is really foundational. Do you have other areas of advice for laying the groundwork for a good partnership? Absolutely. Whenever I’m about to start a new partnership or even when we’re halfway through a partnership we make sure to have really open conversations. Especially at the start, it’s key to have those conversations early on about what are the ultimate goals and what each partner is trying to achieve. It may be for some partners that they’re looking to promote specific attractions or events. It may be for some partners just to get heads in beds, to increase those overnight stays. Make sure that everyone knows what each other’s expectations are and making sure that we’re on the same page. I would probably never enter into a partnership without that information and without knowing what the other person is trying to achieve because that helps us dictate our decision making. It gives us a framework on what the marketing strategy, what the marketing plan would be. When we get opportunities that come to us, we get advertising opportunities presented to us all the time, that we can say does this fit with our goals for this program? Yes or no? And we can kind of make that decision easily. The same thing goes with our PR program that we’re looking to hit certain things with this program. If it’s not a good fit for this program then we move on. So having those conversations early on are key. The other thing as well that I’ve found is determining who is going to be the lead contact for the partnership. That whether it’s two partners or whether it’s 14, making sure that we have someone who’s willing to kind of just be the lead. It doesn’t mean that not everyone’s involved in the decision-making process. It just means that logistically one partner is gonna be the lead to field those incoming inquiries, to handle those advertising requests, to complete the contracts, so that it’s not having everything to be done by committee. I think that’s key, that’s something practical that I’ve learned in the partnerships is who is going to kind of be the lead and then that just makes things easier. Yeah. I think that that’s really good practical advice that you just shared in identifying in that partnership who is taking that lead role because you’re right, it’s tough to move forward when you’re trying to make every single decision by committee. That sort of speaks to what we were talking about earlier when you talked about being a small office and how nimble you can be. So you wanna stay that way even in your partnerships it sounds like to me. Yeah. Well listen, this has been a great conversation. I’ve really enjoyed learning from you today. Are there any final thoughts that you’d like to share with our listeners? Maybe something that you wanted to share that I didn’t ask before we sign off and say goodbye? Well, I guess I would just say that I feel really blessed to be able to work in tourism in Livingston County but also in New York State. It is such a great industry and despite talking about some of the challenges and things that we face, when I think about other industries and things that people have to deal with in terms of budgeting and regulation, I just feel so fortunate that we’re able to work with people, like I said early on in this interview, that are for the most part positive and happy. Not only the businesses, recognizing that we’re here to help them but also the consumers, that they’re planning their vacation so more often than not they’re really in a positive state of mind and we’re able to help people. I just feel really fortunate that we work in such a great industry that is low stress and just really positive. Yeah. I couldn’t agree more. I really appreciate you spending your time with me today and we’ll look forward to checking back with you again.